Ester R. Fuchs is Professor of International and Public Affairs and Political Science, Director of the Global Mayors Forum, and Director of the Urban and Social Policy Program at Columbia University’s School of International and Public Affairs. 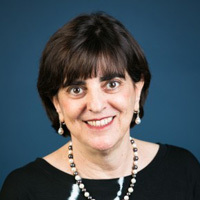 Fuchs serves as Director of Whosontheballot.org, an online voter engagement initiative for which she received NASPAA Public Service Matters Spotlight Award in2014. She is a board member of Columbia’s Institute for Data Sciences and Engineering Smart Cities Center, the NYC Workforce Investment Board, the Committee on Economic Inclusion of the U.S. Federal Deposit Insurance Corporation (FDIC), the Fund for the City of New York, and Citizens. She also received the City of New York Excellence in Technology Award for Best IT Collaboration among Agencies, for Access NYC in 2006. Fuchs served as Special Advisor to the Mayor for Governance and Strategic Planning under New York City Mayor Michael R. Bloomberg from 2001 to 2005. She was the first woman to serve as chair of the NYC Charter Revision Commission in 2005. Fuchs is a frequent political commentator in print, broadcast and new media and lectures internationally. She is the author of Mayor’s and Money: Fiscal Policy in New York and Chicago (University of Chicago Press); “Governing the Twenty-First Century City,” Journal of International Affair (Summer 2012); and “Expanding Opportunity for Middle Class Jobs in New York City: Minority Youth Employment in the Building and Construction Trades,” prepared for New York Community Trust (2014). Fuchs received a BA from Queens College, CUNY; an MA from Brown University; and a PhD in Political Science from the University of Chicago.